Upriver from Gordon's Tinian Island, at the long peninsula of land known as Buffalo Bluff, a 2,300-acre tract was granted in 1764 to Francis Kinloch, a resident of Georgetown, South Carolina and one of the most successful rice planters in North America. 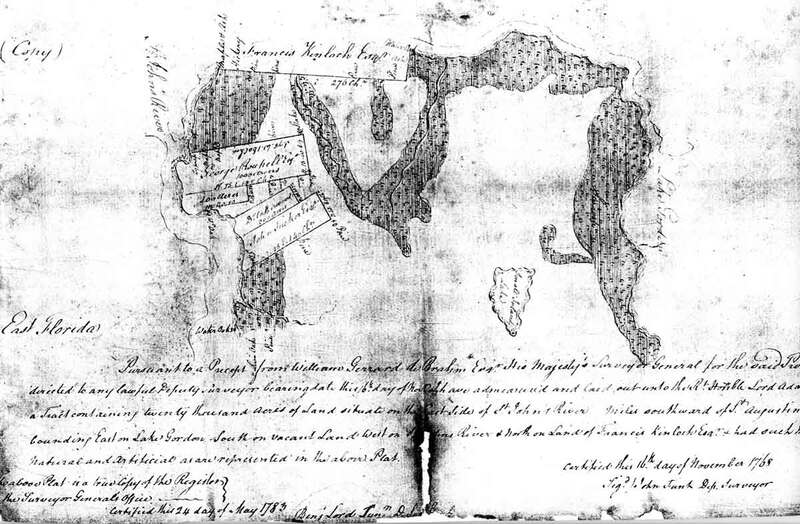 Kinloch expressed an interest in settling in East Florida as early as November 1764. He wrote Governor Grant to say he had been sick but that he was intending to come to Florida. He also introduced "Mr. Duke Bell and Mr. James Law, sober honest plain country farmers, [who] have a mind to become settlers in your province." The residential section of Buffalo Bluff is shown above. A South Carolina rice planter named Francis Kinloch was given title to this land in 1764. The view is easterly, taken from above the west bank of the St. Johns, facing toward the Seven Sisters Islands and Buffalo Bluff, and toward Crescent Lake in the distance. The Buffalo Bluff peninsula is shown here in an downriver view taken from above the islands. The following September Kinloch informed Grant that he would be ready to send a force to clear land in November 1765: "We propose carrying as many Negroes as the East Florida (the government owned provincial schooner) can contain with their provisions, seeds, tools and etc. The children of the people we carry we shall leave behind [in South Carolina] until next year in order that we may be able to carry more working hands." He reassured Grant that "[Duke] Bell is determined to come with me and bring his negroes, he says it will be very agreeable to him to plant on shares with you." When the provincial schooner was delayed, Kinloch wrote in January 1766 to say his "Negroes and seeds and etc." were all packed and waiting, at least until "April or May at the farthest." His plan was to bring "part of my people (sawyers and carpenters) to build houses for the rest who come at the end of summer." Undoubtedly, "red pease" would be planted to feed the workers; Kinloch advised Grant that when settling "a new plantation they [red pease] are convenient provisions that may be made use of at first settling, before your grits-mill is built, as they don't require grinding." 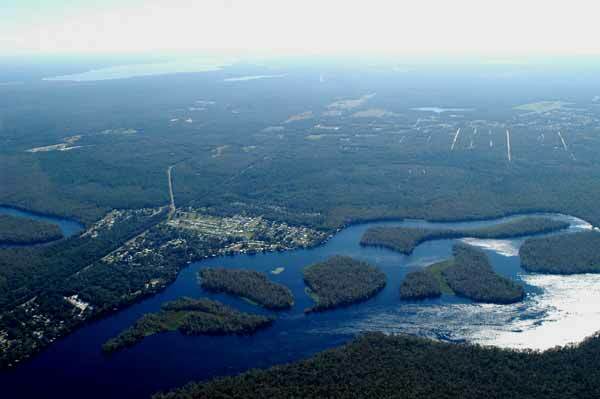 By July 1766 the Kinloch settlement in East Florida was underway. 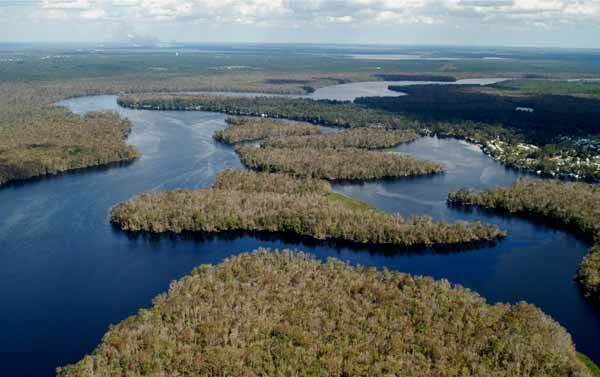 Kinloch informed Grant that other South Carolinians were anxious to follow his example and move to East Florida: "the people here only wait more to be convinced of the goodness of the land by the growth of my Rice, Indigo, & etc." Charles Bernard stopped at Kinloch's tract and praised the indigo fields he saw. At the end of December Kinloch sent ten more slaves that he owned and ten owned by Duke Bell, who was overseeing and also planting on shares. "Bell goes with his wife and five children with an intent never to return here," having sold all his South Carolina property but his slaves. My negroes at St. John has wrote several letters to their friends here telling them that everything I planted there grew very well, and they are certain by the tryal they have had that the land is good." Although Kinloch's settlement was successful at first, his death in 1768 slowed development. By 1770, the executors of his will decided to bring the enslaved laborers back to South Carolina and to abandon the East Florida lands. The Kinloch letters to Governor Grant can be identified by date in the James Grant Papers.